Proc Ne?! 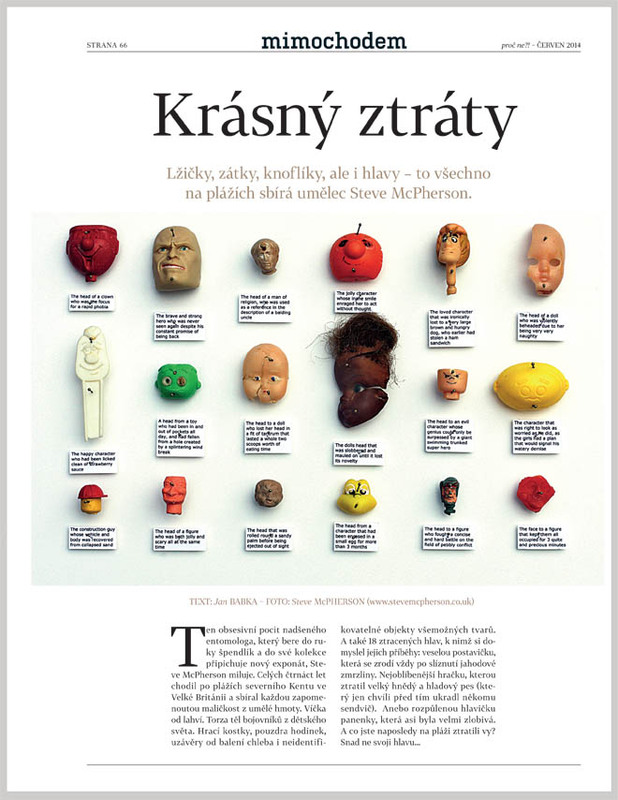 The luxury lifestyle monthly supplement of the economical leading newspaper in the Czech Republic, Hospodarske noviny did a small piece about my work, check the image below and translation of the article written by the Editor In Chief, Jan Babka. on the beaches are part of a collection of artist Steve McPherson. 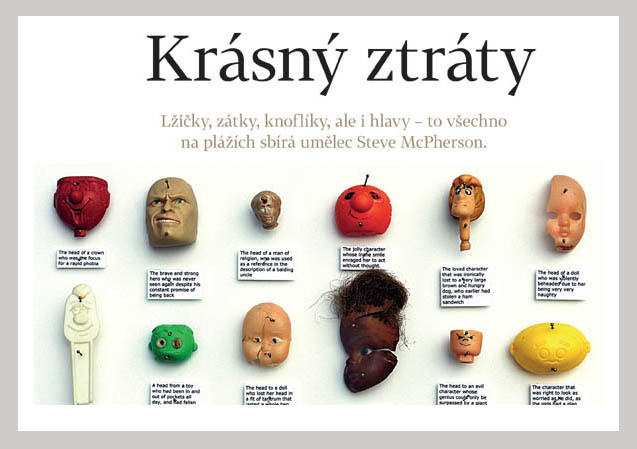 The obsessive feeling of an enthusiastic entomologist who picks up a pin and pins a new object into his collection Steve McPherson loves. Fourteen years walked the beaches of the North Kent in the UK and garnered every little thing made ​​of plastic. Bottle caps.The torsos of bodies of fighters from the children world. Dice, cases for watches, caps from the pack of bread and unidentifiable objects of all shapes. 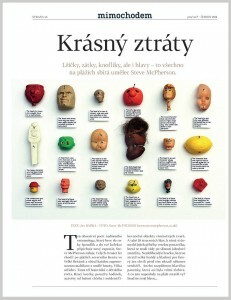 And also 18 heads that have figured their stories: a happy character who had been licked clean of strawberry sauce. The loved toy lost by a brown and hungry dog (who earlier had stolen a ham sandwich. The head of a doll who was violently beheaded due to her being very very naughty.